I love being around entrepreneurs because of their think-big ideas, their passion, and their desire to create something from nothing with their minds and BARE (sometimes sticky) HANDS! And more than most industries, it seems we all get that we all need each other. As an event designer and floral designer, I’m aware that we’ve got it pretty good. 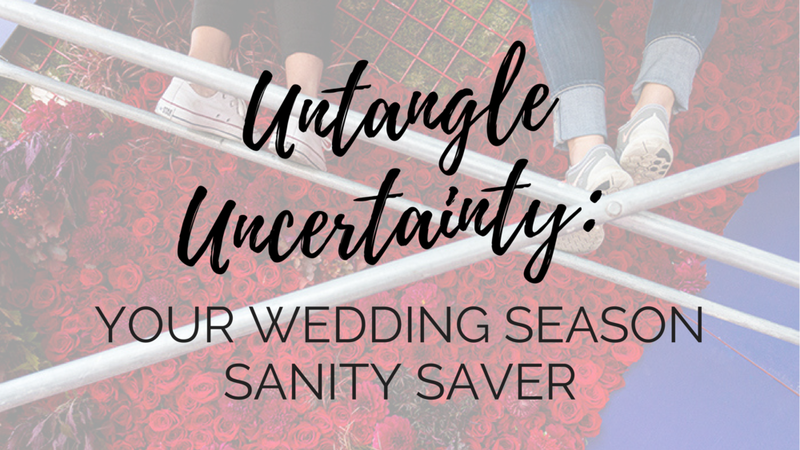 This time of year, wedding season, the go-go-go anxiety is at its peak! Anxiety beats us down mentally and physically. I’ve personally felt the effects and have risked total burnout. Anxiety, however, is not a parasite that we must bear. I think we all know of a time when the true nature of anxiety (its thinness) is revealed. In an instant, anxiety can melt away when faced with the extremes of something joyful or something that makes us sad. Those anxieties, fears, negative feelings are washed away by whatever more intense feeling comes. We feel silly to have thought those insignificant thoughts mattered at all. At both extremes, we are reminded of what REALLY matters. Anxiety is merely a fabrication our brains have made to give us clues when we are off course- not living to our creative potential. Or, merely a state to remind us that soon, we are going to need ALL of us to conjure some good ole make-it-happen magic. In fact, at its best, anxiety is a powerful tool to be thankful for. The key in transforming anxiety into a guiding force rather than one that controls us is first to understand it. Here are three types of business anxiety you may face and what to do about it. Uncertainty is the fear of wanting a certain outcome, and not knowing how it’s going to happen- or if it will happen. Click here for more info and a tool on how to de-clutter your head of this type of anxiety. 3. What are the 1-2 next actionable steps in a direction? If more than one direction is possible, pick one. 4. Focus on just that, wash the others away, and carry out those steps. 5. After you have achieved those first steps, re-evaluate. 6. Is the next step clear enough to continue? Yes? Repeat steps 1-5? No? move to 7. 7. Do you need to try something else? Or is what you worry about something that can be solved at all. It may be one of those things that will become clearer with time and patience? If this is the case, it must be shelved to await a time when new information makes it actionable. Uncertainty is not only okay, it's necessary. It's the precondition to you figuring out your sh*t! As one who continues to expand in your life and business, something we must get comfy with. PS, if you are a floral designer and want to figure your financial sh*t, get on our waitlist for Price and Profit Design here. You'll get a sweet little download, too. Overwhelm is the state of paralysis and fatigue brought on by too many decisions to make, and too many tasks to do. By the end of the day you cannot even separate the things, you just know there are too many. You are tired and the anticipation of what’s next creeps into what you are doing now. It drives you to ice cream and netflix binging. The good news is that true overwhelm is a mechanical thing. There are too many decisions, there are too many things to do. This is a clue that has an obvious answer with a trickier catch. Do the things, or eliminate them. For this, we can use the rule of Eliminate, Delegate, or Automate to dig our way through our overwhelming tasks. Click here to get the worksheet. Overwhelm may, however, be a symptom of something more complicated. Why do you have too many things to do? Do you not have the time or money to train someone? Do you believe that no one can do it as well as you so you are unwilling to delegate? Do you need to build some policies or a playbook so that you do not have to constantly be doing and saying the same things over and over. Do you need to create and reinforce your own boundaries so you are not saying ‘YES’ to everything? Do you need to design your pricing and craft your services so you attract clients that are a good fit for you and who can support you in the way that you need them? What barriers have you put up to ways that delegation and automation can take place? If you have an impending event coming on, you are about to enter performance mode. You may be dealing with a bit of overwhelm AND uncertainty. The difference here is that you have a deep sense of trust in yourself. You’ve been here before, things were difficult, and you pulled it off. In fact, you’ve been in worse. You are good at what you do, and you can do hard things. What if you could rebrand your anxiety as excitement? Can you see that anxiety as a positive energy that is carrying you toward what is likely to be another successful experience for your clients? Ultimate trust in yourself and your fellow colleagues can help you see what worries are valid and can be dealt with now (actionable) , and what just needs to be washed out when the inevitable event is present and actionable. PS. 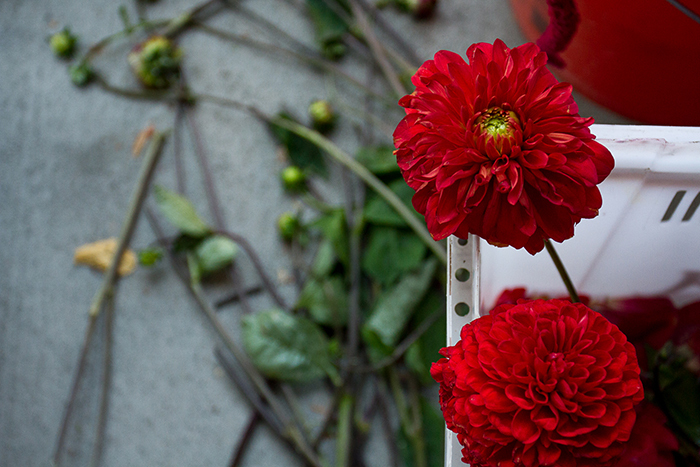 Hey, if you are a floral designer, you may want to join our community of floral designers. We talk about specific issues we are dealing with AND you get special pricing for courses before the masses have access to them. Sign up here if you have not already!